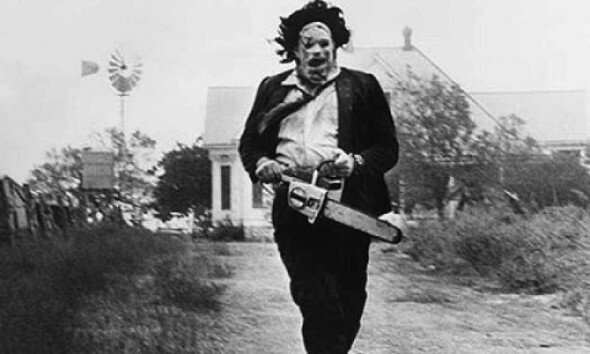 Not everyone considers The Texas Chainsaw Massacre a classic. Those people are wrong. Perhaps even stupid. Tobe Hooper’s camera work, so home-movie like, worked with the “based on a true story” tag line like nothing before it, and the result seriously disturbed the folks of 1974. It has been ripped off and copied dozens of times since its release, but in the context of its time, it was so absolutely original it was terrifying. Hooper sidestepped all the horror gimmicks audiences had grown accustomed to – a spooky score that let you know when to grow tense, shadowy interiors that predicted oncoming scares – and instead shot guerilla-style in broad daylight, outdoors, with no score at all. You just couldn’t predict what was coming. Hooper also cast aside any concerns for dignity or fair play, a theme best personified by wheelchair-bound Franklin. Franklin is supremely unlikeable – whiney and selfish – ending horror’s long history of using personal vulnerability to make a character more sympathetic. Films such as Wait Until Dark, Whatever Happened to Baby Jane, and Rear Window (all excellent movies) ratcheted up tension through the sympathy they could generate toward the helpless character. These films’ anxiety and payoff both owe everything to watching the vulnerable protagonist in danger, and waiting for them to overcome the odds. But Hooper is after an entirely different kind of tension. He dashes your expectations, making you uncomfortable, as if you have no idea what you could be in for. As if, in watching this film, you yourself are in more danger than you’d predicted. But not more danger than Franklin is in, because Franklin is not in for a good time. So, poor, unlikeable Franklin Hardesty, his pretty sister Sally, and a few other friends head out to Grampa Hardesty’s final resting place after hearing the news of some Texas cemeteries being grave-robbed. They just want to make sure Grampy’s still resting in peace – an adventure which eventually leads to most of them making a second trip to a cemetery. Well, what’s left of them.